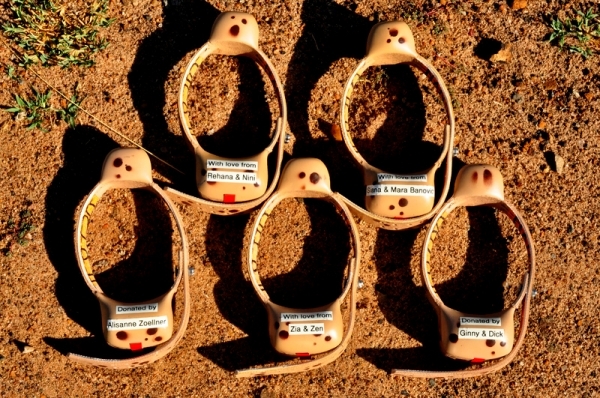 News - Banovich Wildscapes Foundation, nonprofit (501c3) organization fostering cooperative efforts to conserve the earth's wildlife and wild places benefiting the wildlife and the people that live there. 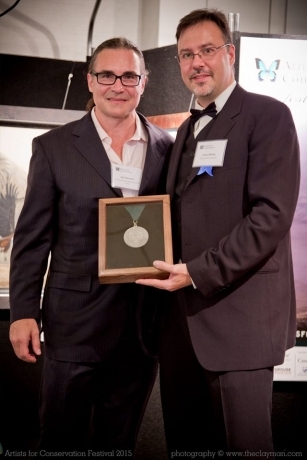 AFC Signature Member, John Banovich has established a new major award through the Banovich Wildscapes Foundation - the Award for Conservation Excellence (ACE). The purpose of the award is to recognize the exceptional contributions made by some of the world's leading conservationists and is intended to become the most significant award in the conservation arena.A call for nominations is now open through August 31, 2017. The Millennium Alliance for Humanity and the Biosphere: connecting activists, scientists, humanists and civil society to foster global change. John Banovich's commentary on conversation was selected by the Millennium Alliance for Humanity and Biosphere (MAHB). The MAHB is Stanford's new initiative to encourage interdisciplinary collaboration towards a sustainable future. MAHB is a global network of social scientists, humanists and scholars in related field who utilize their collective knowledge to understand and communicate foresight intelligence and create a vision of plausible and compelling world which is moving towards sustainability and social equality. Thank you to KZBK (CBS) TV for their coverage of the Banovich Wildscapes Foundation BEAST BENEFIT 2016 held at the new Banovich Art Center. 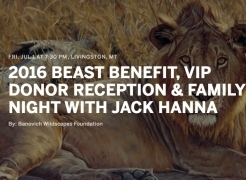 Click to View Photos of Jack Hanna & Guests at the 2016 Beast Benefit Use the username: beastbenefit and the password: beast to access photo page. Banovich Art wishes to thank the sponsors, donors and over 300 attendees from across the country for making the BEAST BENEFIT 2016 an overwhelming success. 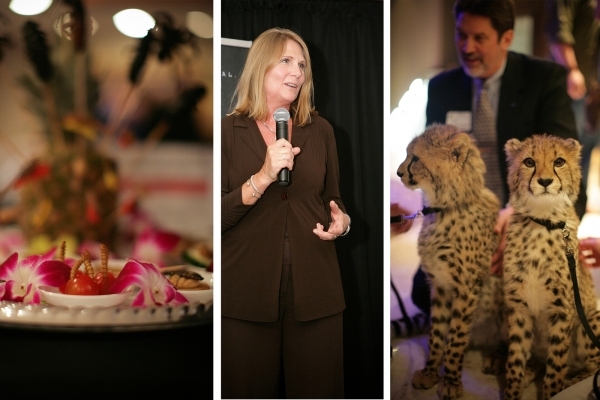 The Banovich Wildscapes Foundation raised over $70,000 towards international conservation and research efforts. "Game of Lions" by John Banovich receives the Medal of Excellence and the Best in Show awards in the 2015 Annual Exhibit held in Vancouver, B.C. 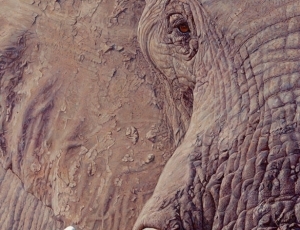 Artists for Conservation (AFC) is the world's leading group of artists supporting the environment. 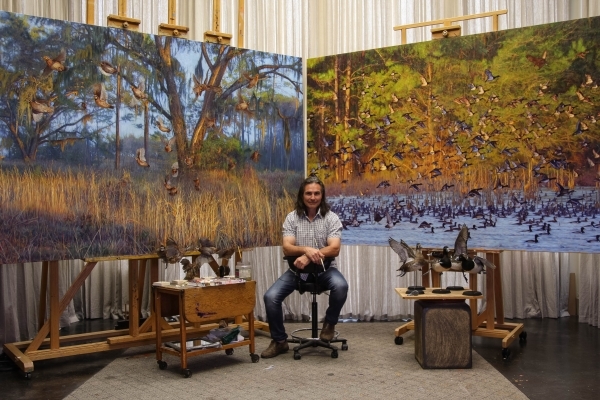 Founded in 1997, the non-profit organization comprises a membership of 500 of the world's most gifted nature artists from 27 countries, across five continents. 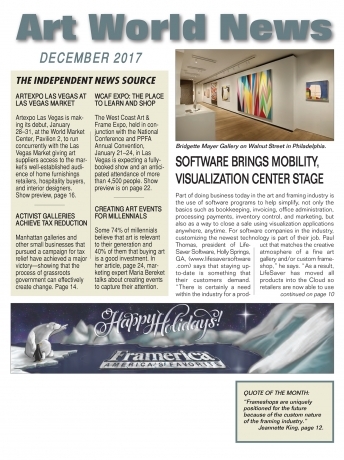 Dedicated to nurture, promote and leverage its world-class community of artists in support of our natural world, AFC drives its mission through three key programs: Art & Environmental Education; Field Work & Research; and Artist Development. The Artists for Conservation Festival is AFC's annual flagship initiative to showcase, support and further these programs.